Her stylish interior created by Ken Freivokh and Michele Reverberi accommodates up to 12 guests in six cabins, which includes one twin, three doubles, a VIP and a full-beam master suite complete with private balcony and expansive en-suite. 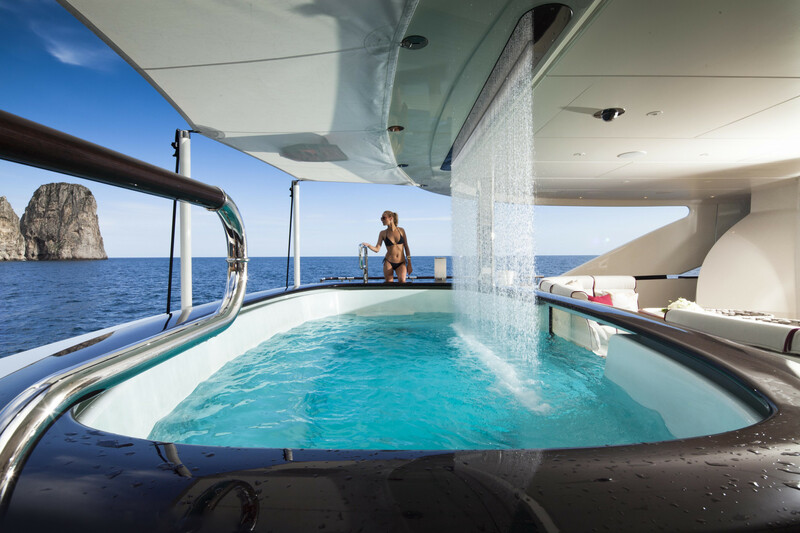 Many amenities including a pool with a waterfall feature on the main deck, a jacuzzi, a GYM and SPA facilities make Quite Essential one of the most exclusive vessel on the market. Do not hesitate to contact our sales team should you required further information.